Settled in the 12th century by Indian traders, Indian, Persian and Arab merchants came here to exchange goods. Chinese immigrants arrived in the 18th century looking to make their fortune in the trade and tin mining boom. 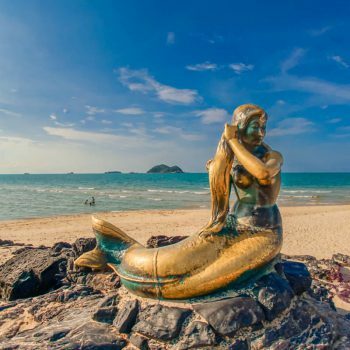 Songkhla takes its name from a powerful and influential Chinese family from that time. The family’s former home is now the Songkhla National Museum. Today the streets are packed with reminders of Songkhla’s past. The Sigora Tram Tour is a great way to get to know the city. The tour is free, starting outside the Prem National Museum. Taking around 45 minutes, the tour takes you through the main tourist spots including the Old Town, Samila Beach and Tang Kuan Hill. The Institute for Southern Thai Studies has a museum dedicated to local art and culture as well as ancient artifacts. There are more than 30 rooms covering religion, folk traditions, occupation and handicrafts. 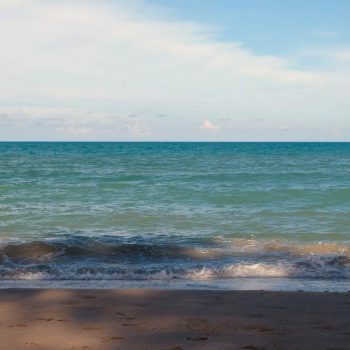 Songkhla Lake is the only natural lake in Thailand. 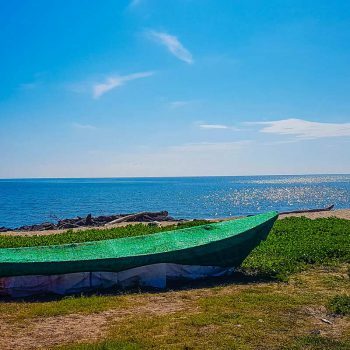 Around 80 kilometres long and 20 to 25 km wide, the freshwater lake is shady, perfect for a stroll. You can also explore the lake by boat. Tinsulanond Bridge spans Songkhla Lake and is the longest concrete bridge in Thailand. Koh Yo, an island in Songkhla Lake, covers an area of 3,710 acres and can be reached via Tinsulanond Bridge. Famous for fruit orchards and hand-woven fabric, it has a fascinating culture all its own. Enjoy fresh local food from a waterfront restaurant; wander the museums, temples and pay respects to the island’s reclining Buddha. Songkhla’s old town stretches along the lake on Nakhon Nok, Nakhon Nai and Nang Ngam roads. Architecture enthusiasts will enjoy the Chinese architecture of Songkhla’s City Pillar (on Nang Ngam Road) and surrounding streets. Chinese immigrants constructed most of the town in the 18th Century. Wat Matchimawatis one of the most important local temples. Built 400 years ago, the temple contains Phattharasin Museum containing important artefacts from the Province. The food scene is a rich mix of Thai, Chinese, Indian and Malay. Fresh seafood is a local speciality, with the best located on Samila Beach. Hip and trendy café’s and restaurants serve good international food and decent coffee. Most accommodation is budget to mid range, though there are a handful of luxury hotels.